Gone the days of just having the choice of Lip Sticks or Lip Gloss, now there are lip balms in crayon form. From the likes of Revlon and Barry M to Clinique and Nars Lip crayons are starting to become big business. After using the Matte and Lacquer Balms from Revlon I have been obsessed with lip crayons, they are just so easy to apply and great to throw in to your bag. After recently purchasing the Glamour Magazine's special Clinique freebies, I wanted to see what all the hype was about with the Chubby Sticks. I have read so many blog reviews and site reviews about this product and some were great and some were bad, it was a Marmite relationship with these sticks. The freebies included two smaller sizes of Super Strawberry (07) and Woppin' Watermelon (06), which I was really excited to try. 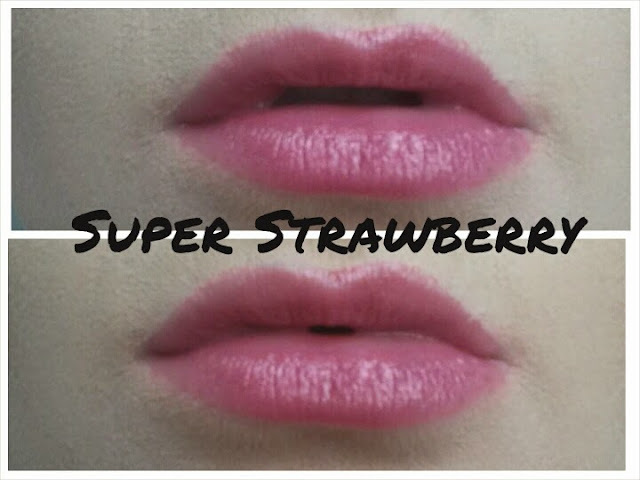 Super Strawberry is a more darker pinky red color, where as Woopin' Watermelon is a more pinker color. They are moisturizing lip balms, so I wasn't looking for them to be dry or matte, but I wasn't sure how the color would come off as I usually try to avoid pale pinks as they wash out my skin tone. 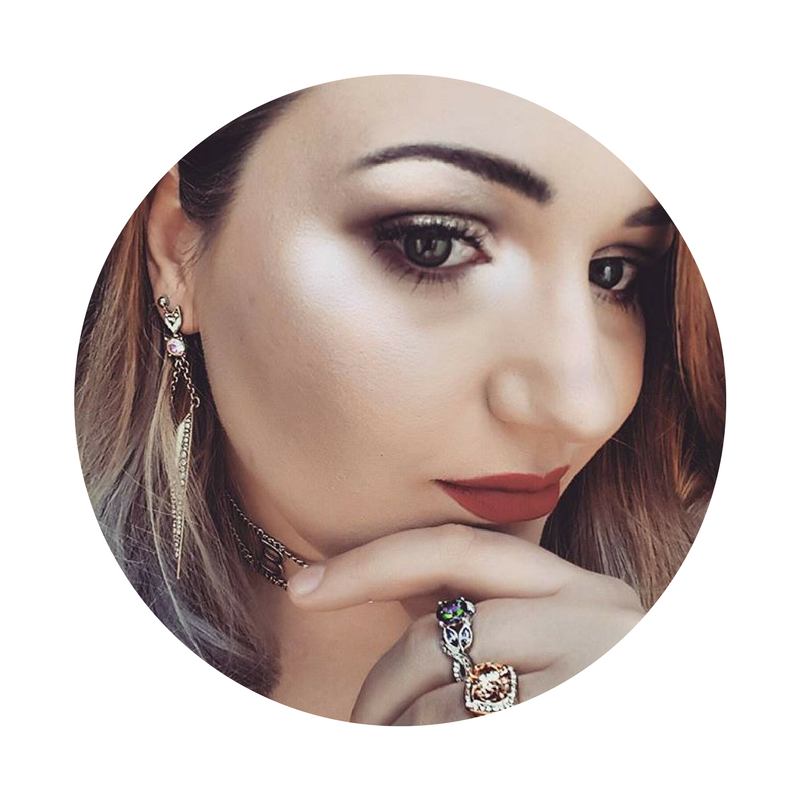 It took me a while to come round and try these products, but when I did I was a little surprised on the color I would actually fall for. Being very hydrating and moisturizing I found the color pay off to be a little sad, as unlike the Revlon balms, these are very sheer. 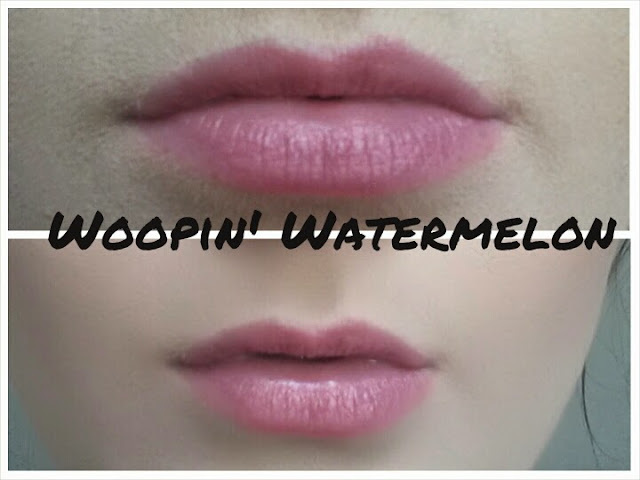 Being so sheer meant I didn't really see any color pay off when using the Woppin' Watermelon, which was really disappointing. 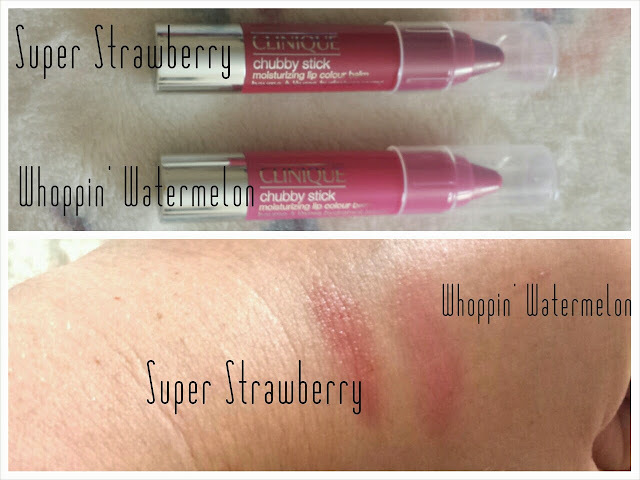 However, the Super Strawberry was perfect for my skin tone and didn't come off to bright or bold, great for a hint of color to a neutral look. Being a hydrating lip balm I was expecting it to be very maybe even overly moisturizing, however, they weren't. I found them to be more semi-hydrating and a little thick feeling on the lips, not tacky but thick like using a dryer Vaseline. I also found the smell to be a little unpleasant, it's not a strong scent but there is an unusual smell, but luckily you can't taste it. Over all I think this is a really good product for a neutral office day look, but if your looking for a more bold color I would stick with the cheaper Revlon Balms. In all honesty, if you were looking for a cheaper alternative to the Clinique Chubby Sticks I would suggest some of the drugstore brands such as Barry M as they have more of a moisturizing sheerness to them.